K9s United proudly directs 100% of all individual donations to the K9s and the K9 Units we support. Through the generosity of our Board along with our signature events, all of our administrative expenses associated with K9s United are paid for. This assures that every hard earned dollar you give goes to where it is needed most. K9s United is a 501(c)(3) organization. Your contribution is 100% tax deductible to the full extent allowable by law. Join the Corps. Become a Monthly Supporter. The K9 Corps is an inspiring group of supporters who have a passion for supporting our K9 heroes and assuring that we may continue our mission of honoring and supporting our four-legged protectors. As a member of K9 Corps, you become a close part of our family and will have a direct impact on ensuring the success of the K9s United vision. 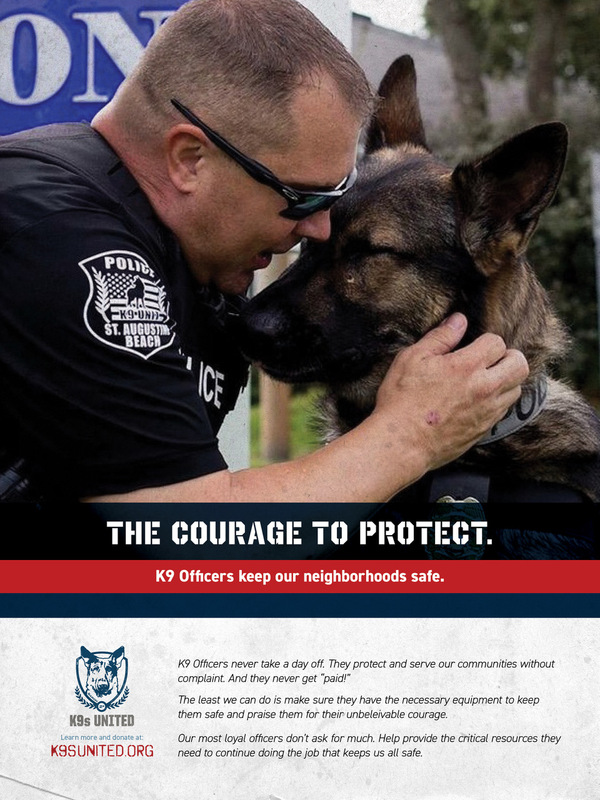 All recurring monthly donors will be invited to an annual VIP celebration where some of the Handlers and K9s served can thank you in person, among other surprises.